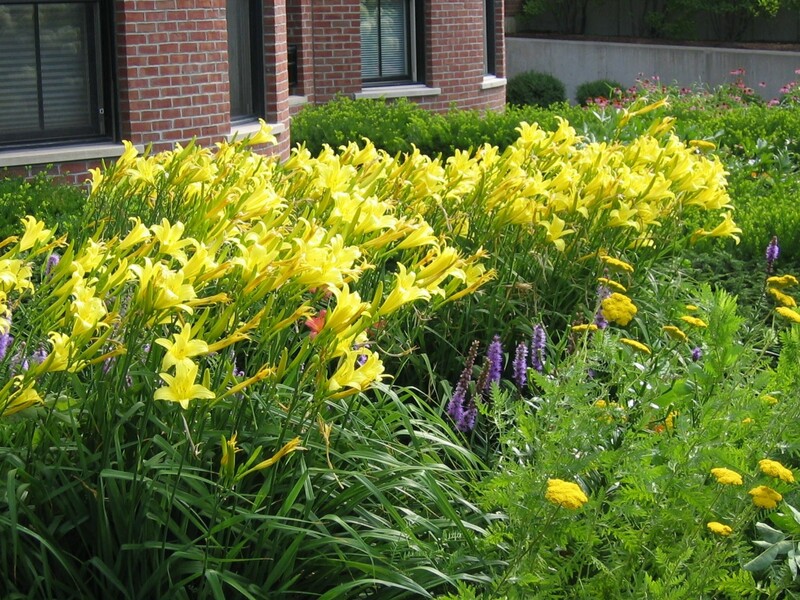 Comments: The tall growing yellow daylily and most of the others, was photographed in Maine in summer. The last two were made in South Carolina. Remember daylilies are subject to attacks by aphids and thrips and some are severely damaged by rust, a fungus disease. There are varieties that bloom very early in spring, some in late spring, then those that flower in summer to early fall. There are over 60,000 registered daylily varieties and the flowers come in many colors, shapes, sizes and forms. There are varieties that are evergreen and those that have no foliage during winter. These foliage loosers are called deciduous or dormant varieties.